Home Books Tools of the trade for the field botany student! Dr M uses the award winning green campus of the University of Reading for teaching this module and the featured image at the top of this post is from a panorama of the University of Reading campus grassland taken during the UoR BioBlitz 2013 by Mark Fellowes. This module includes in-depth sessions on plant identification and vegetation survey and there are some things you will need to consider purchasing to bring along to the classes – in addition to an enquiring mind and bags of enthusiasm of course! Hand lens – the essential tool of the trade for the aspiring field botanist. There are lots of cheap options but your best bet is to get hold of a decent quality 10x lens and of a good size (at least 20 mm diameter to give adequate field of view). Don’t worry about higher magnification 20x, 30x at this stage it is not necessary. There are many suppliers so visit them online and have a look at what they offer. 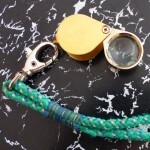 The Loupe Store have a Triplet Loupe (just another name for a hand lens!) recommended by BBC Wildlife Magazine (10x magnification and 21 mm diameter) it is quite robust and costs £9.50 plus £1.59 for the lanyard to attach it around your neck (essential to avoid loosing it!). But they have a shed load of others too! The Natural History Bookstore offer have a selection including the Opticron hand lens (10x magnification and 23 mm diameter). This costs £13.99. There are plenty of other options, check Dr M’s previous post on the hand lens and Dr M is happy to recommend and to check your lenses when you arrive to advise on how to prevent the lenses falling apart – as they very often do! Don’t (i.e. DO NOT!) be tempted to buy 2 in 1 lenses e.g. purporting to combine 10x and 20x lenses as these are often not what they say on the tin! 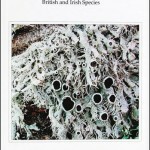 Plant ID Books – another essential tool of the trade. 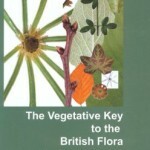 You must buy, beg, borrow or steal your own copy of John Poland and Eric Clement’s book Vegetative Key to the British Flora (2009), (costs around £25). Dr M refers to this as “The Veg Key” and has raved about this book before. You cannot complete this module or learn British plants properly or do well in Dr M’s plant ID tests without your own copy! Buy it now! You will also need your own copy of your preferred plant identification guide book (see Dr M’s post reviewing some of the options here). 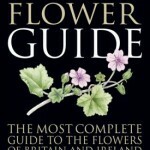 For those of you unfamiliar with the UK flora, Dr M recommends David Streeter’s book The Wildflower Guide (2009) (the paperback edition costs around £20 but you can find it cheaper if you look). This has a wide scope and covers flowering plants (including grasses, sedges and rushes), conifers and ferns and their allies. It includes excellent keys and the paperback edition is just the right size for use in the field. There is also a large format hard copy version great for reference at home but too big and heavy for use in the field. 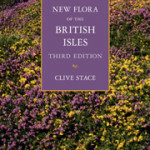 For the more advanced treatment, the “Bible” of UK plant identification is what Dr M refers to as “The Book of Stace“, this is Clive Stace’s New Flora of Britain (3rd edition, published in 2010 and costs around £50, but you can find it cheaper if you look). This is an advanced treatment and it may not be for you, but we will try it out in class and you can make your mind up then! 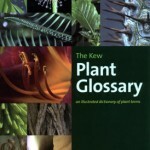 A Glossary: Botany abounds with specialist terminology like stipule, ligule, phyllary and so on, you might like to get yourself a decent glossary to help assimilate all these new words, the Kew Plant Glossary: an Illustrated Dictionary of Plant Identification Terms is an excellent choice (cost around £18 but you can pick it up for less of you look). Equipment: Dissecting kit – The hand lens is the main piece of kit for the student botanist! 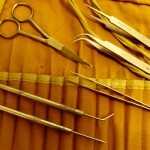 But a dissecting kit can be valuable too, e.g. for teasing out the tiny parts of plants, for dissecting flowers or for removing the leaves of mosses for microscopic examination. You really only need a couple of pairs of fine forceps (watch-makers forceps are recommended for delicate work rather than the coarser ones) and some steel mounting needles, single-edged razor blades for making leaf sections etc and maybe a pair of scissors. 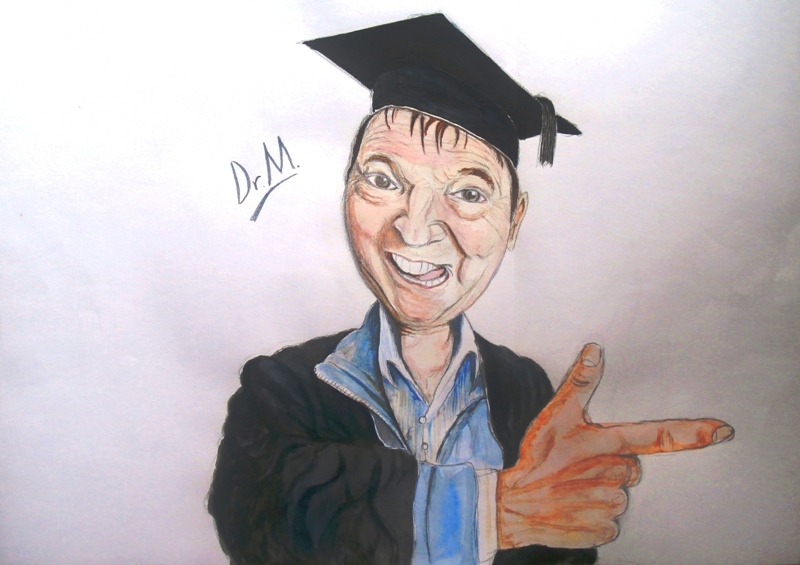 NHBS is a good supplier to check out but Dr M is happy to advise you if you are uncertain. 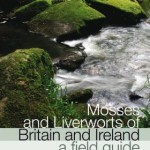 Other books: There are other specialist books covering Bryophytes (mosses and liverworts) and lichens but Dr M will discuss these with the class later in the term. Do contact Dr M if you have any comments or questions and see you in class soon! I wonder if you can recommend the Japanese flora equivalents of The Veg Key and The Book of Stace.